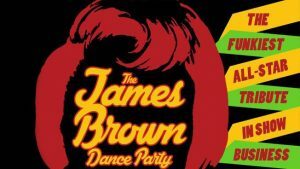 Dubbed “The Funkiest All-Star Tribute In Show Business”, the James Brown Dance Party delivers on all fronts, bringing a high energy, non-stop dance party and celebration of the music of James Brown with them to venues around the country. You can CLICK the image above to be directed to a promo video. Each show is personally curated by acclaimed music directors The Chase Brothers and brings together musicians from the “old school” and ‘new school” funk scenes.